This is supposed to be a season of joy. But for 26 families in Newtown, Conn., it will never be that again. For the rest of their lives, the weeks leading up to Christmas will be a time to remember holding their loved ones, to wonder what might have been, to imagine a better world. But there will be no joy. One sick man — with access to assault weapons and hundreds of rounds of ammunition — took the life of his mother, then drove to Sandy Hook Elementary School and massacred four teachers, the school principal, school psychologist … and 20 children. By now, many of the details are well known. At least seven families can thank teacher Victoria Soto for directing her class of children into the closet before telling the gunman they were all on the other side of the school. Soto was shot and killed, as was another teacher in her room. And it seems certain the shooting would have continued and many, many more would have perished if the police did not show up to stop the gunman, who killed himself as they approached. We thank the educators, the police and the emergency responders for their heroics in this terrible situation. And we extend our deepest sympathies to those who lost loved ones in this senseless and avoidable tragedy. Speaking Sunday in Newtown, President Barack Obama made clear the need for our nation to do more. It’s vital that we’re all part of this change; that we’re all engaged in the upcoming debate that might make something like this less likely to happen again. Don’t forget. Don’t turn your back. Remember the children. Remember the families. And help make this a season of laughter and giving and love again. 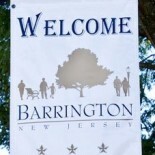 This entry was posted on December 17, 2012 by Barrington Bulletin in Crime, Safety, Schools and tagged newtown.